Congrats Grads! 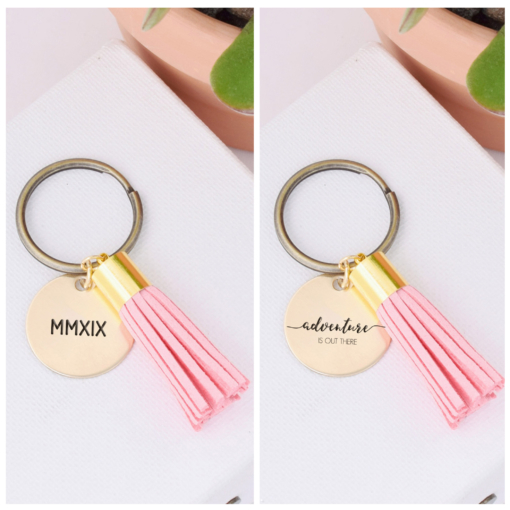 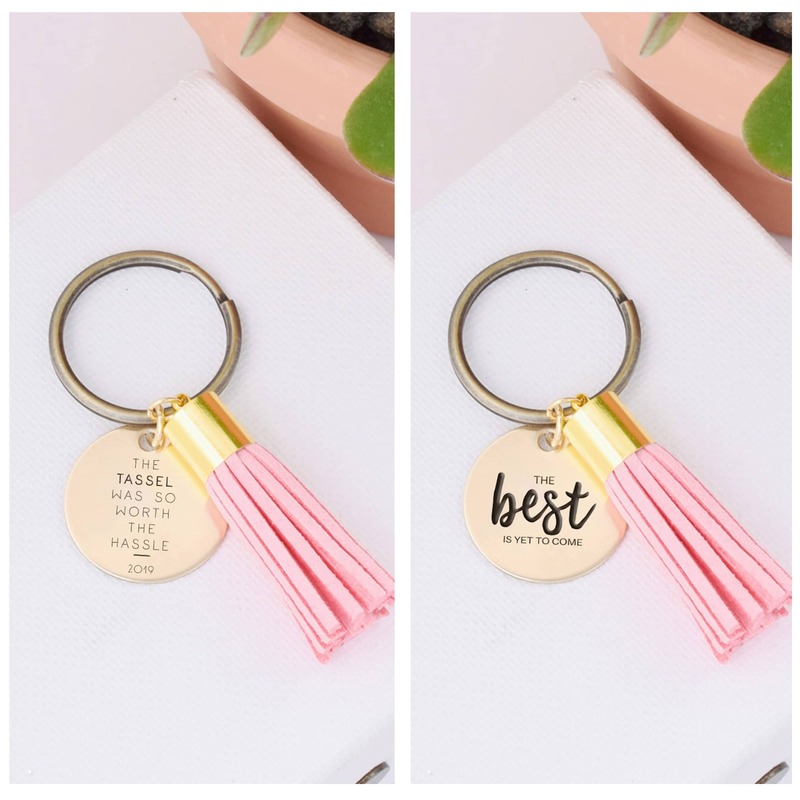 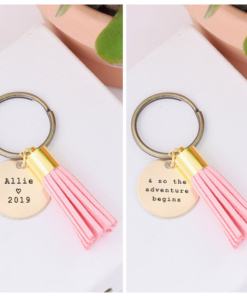 You worked hard for that degree now celebrate your success with your choice of 15 super cute grad tassel keychains. 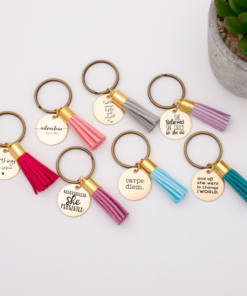 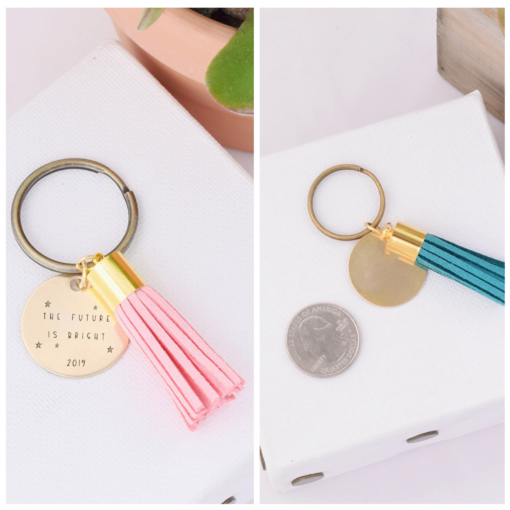 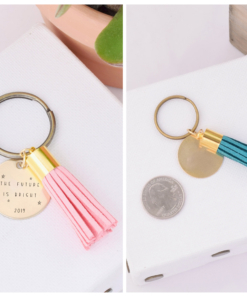 These 2 1/2” long tassel keychains are made from high-quality suede leather and antiqued brass. 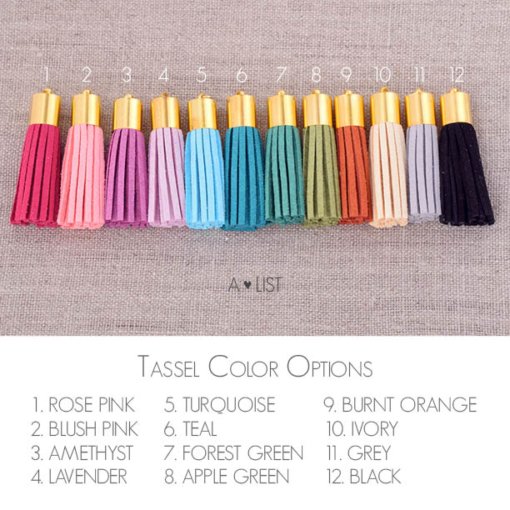 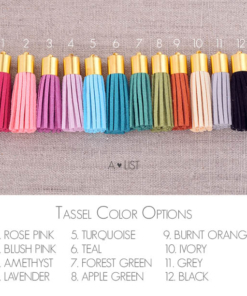 The suede leather tassels come in 12 stylish color options and will hang 1 ½” long. 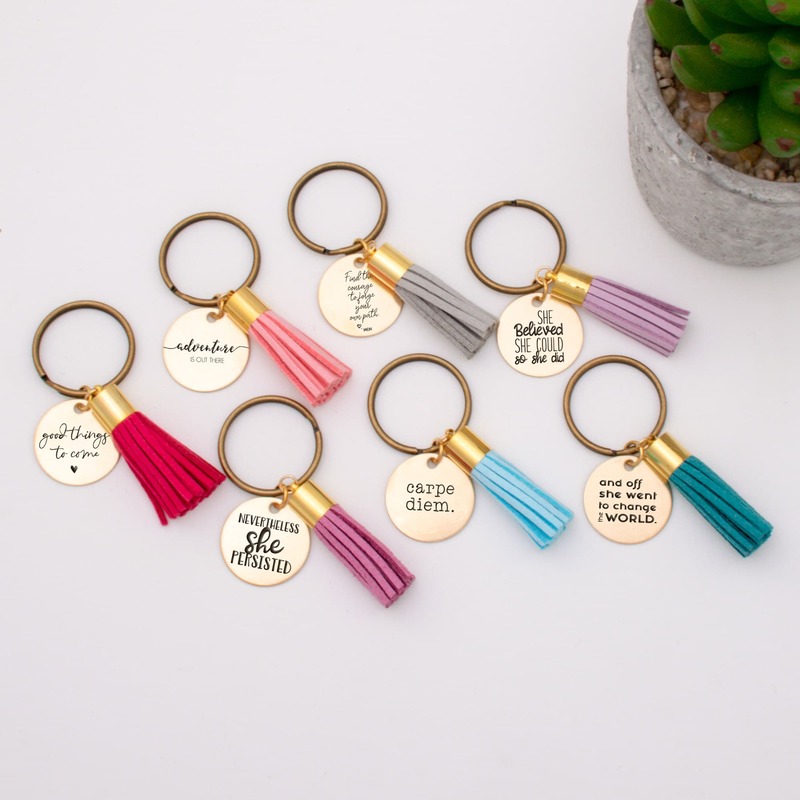 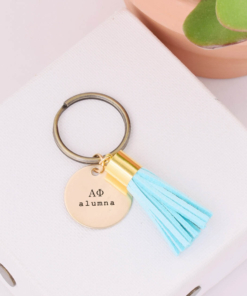 We engrave the 1” round brass disc charm with your choice of 15 grad themed designs right here in our Southern California workshop and hang both the tassel and disc from a 1″ long brass keyring, making the perfect memento of graduation day! 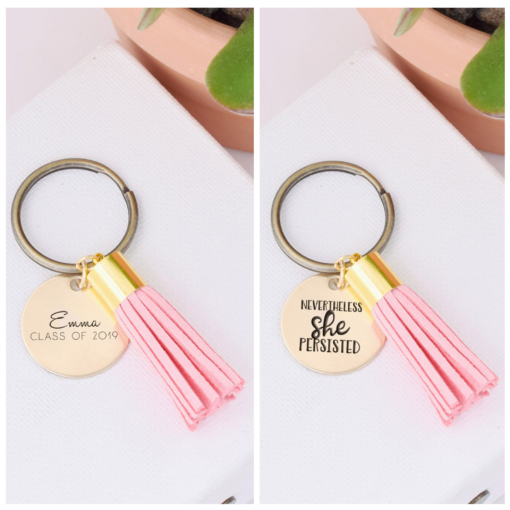 These Grad Tassel keychains make the perfect gift for your favorite grad. 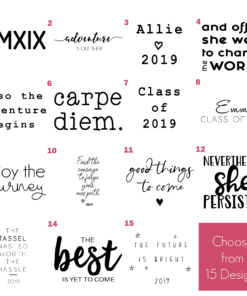 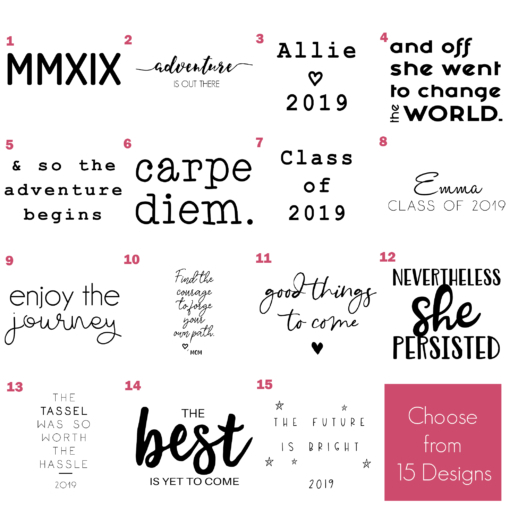 With your choice of 12 different colors, you can buy them for all your seniors getting ready to graduate or treat yourself and celebrate your awesome accomplishment! 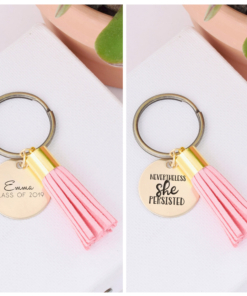 “Love it! 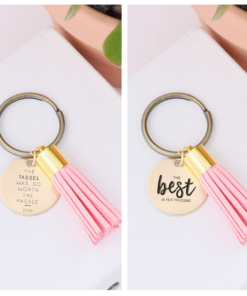 the keychain is super cute!” -5 out of 5 stars from C.Y. We hand design and handcraft every product, right here in our Orange County, CA workshop. 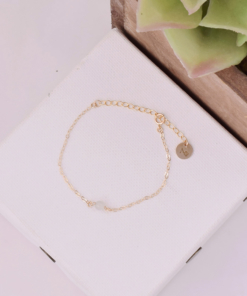 We really focus on the customization of each product, so we know it will be perfect and special for you or your loved one. 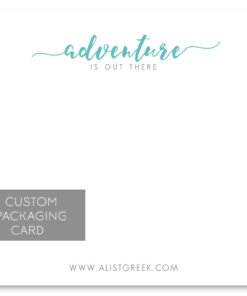 Since founding A-List Greek in 2013, our customers and creating stylish yet personal products for every person has remained our top priority! We typically ship these grad eychains within 1-2 days, but if you are purchasing in bulk or need them as a gift for a special event please make sure to leave us a note at checkout so we have them shipped to you with plenty of time. 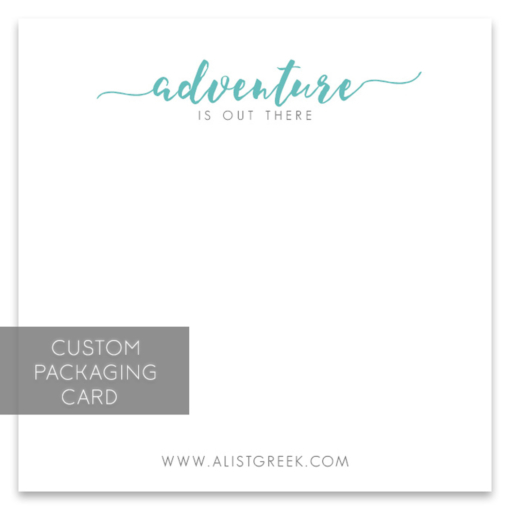 Each keychain comes packaged on a custom designed packaging card with care instructions and a free gift with purchase, elastic no bump hair tie.